But you probably still can’t afford one. 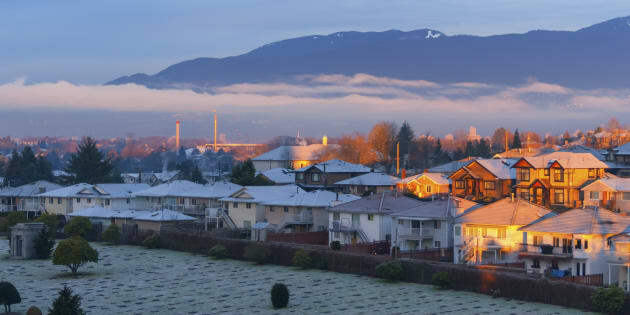 Homes in North Burnaby, Greater Vancouver. The city's single-family home market is fizzling, and lower prices are likely ahead. It would have been hard to imagine not long ago, but Vancouver's single-family home market is on the verge of a downturn. In fact, prices have already started to fall. Data from the Real Estate Board of Greater Vancouver, released Friday, shows detached home sales in January were 24.8 per cent below the running average for the month. And a key indicator of the market's health is flashing warning signs. The sales-to-active-listings ratio, a measure of supply and demand in the market, has fallen to 11.6 per cent for single-family homes, meaning there were 11.6 homes sold for every 100 on the market in January. The REBGV says that a persistent ratio below 12 per cent results in "downward pressure on house prices." And in fact prices for single-family homes have turned downwards. Though the benchmark price of $1.602 million is still 8.3 per cent higher than a year ago, it has turned negative recently, and is down 0.3 per cent since December. "Buyers in the detached market are facing less competition and have much more selection to choose," REBGV Jill Oudil said in a statement. "For detached home sellers to be successful, it's important to set prices that reflect today's market trends." That's a diplomatic way of telling home sellers they may want to consider cutting their asking price. Market observers say that in Vancouver, as in Toronto, runaway growth in single-family home prices has prompted new buyers to switch their focus to the condo market. And as in Toronto, Vancouver is seeing a boom in the condo segment. Sales of apartments were up 22.7 per cent in January compared to a year earlier, REBGV said, and the sales-to-active listings ratio was 57.2 per cent, suggesting price growth ahead. That's on top of the price growth that has already happened. Apartment prices jumped 27.4 per cent over the past year, to an average of $665,400, REBGV said. It all has to do with the astronomical costs of single-family homes in Canada's most expensive cities these days, the experts say. "To prospective homeowners in our largest cities, condominiums represent the last bastion of affordability," Royal LePage CEO Phil Soper said in a report last month. But Vancouver is still a long way from returning to affordability. In a survey from research firm Demographia released last month, Vancouver retained its spot as the third-least affordable city in the world, behind only Sydney, Australia, and Hong Kong. Toronto rose to 21st place on that list.